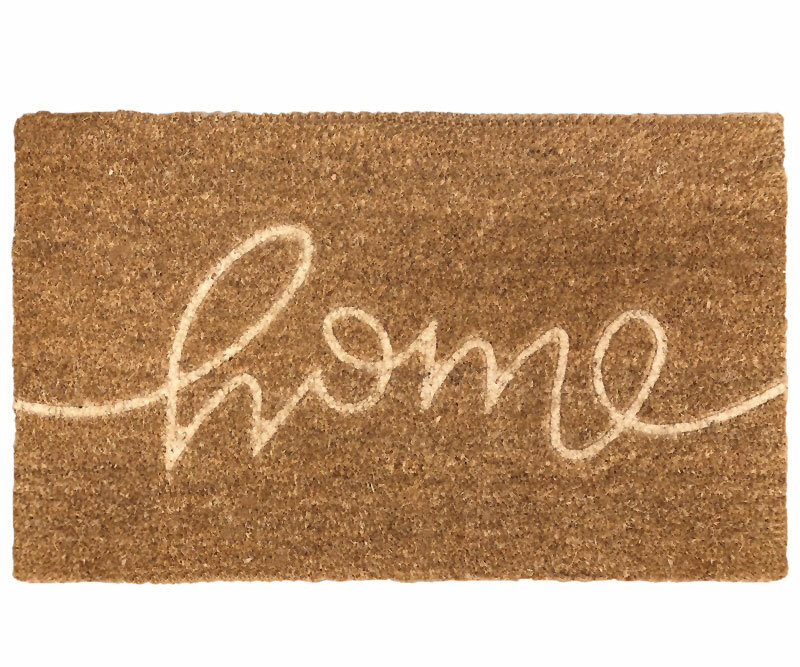 Featuring a classic design of the word home in a handwritten style on coir mat, this regular size doormat makes a great addition to your entryway. The writing is pressed into the coir to create a carved effect. This is a slimline doormat with natural coir fibres on a vinyl backing. Measures 75cm x 45cm and approx 1.5cm thick. *To ensure best performance and longlasting beauty of your door mat, please make sure that it does not get wet and be aware that cats and birds scratching the door mat will damage it and lead to excessive shedding.